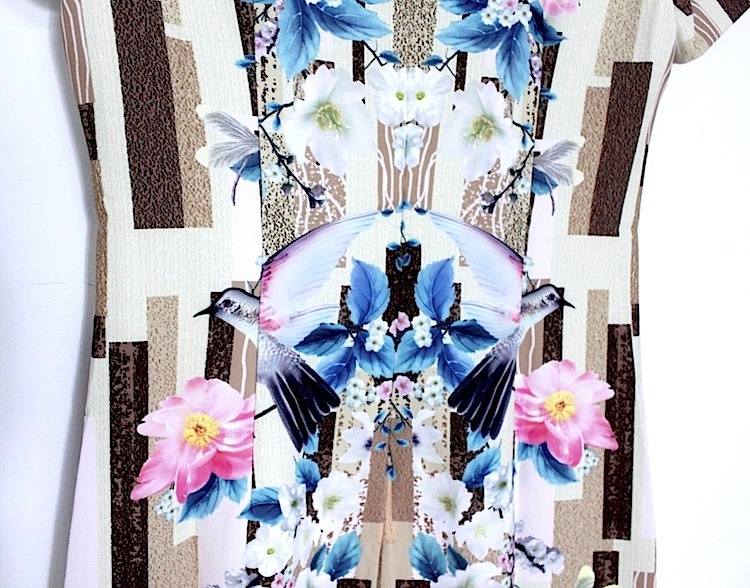 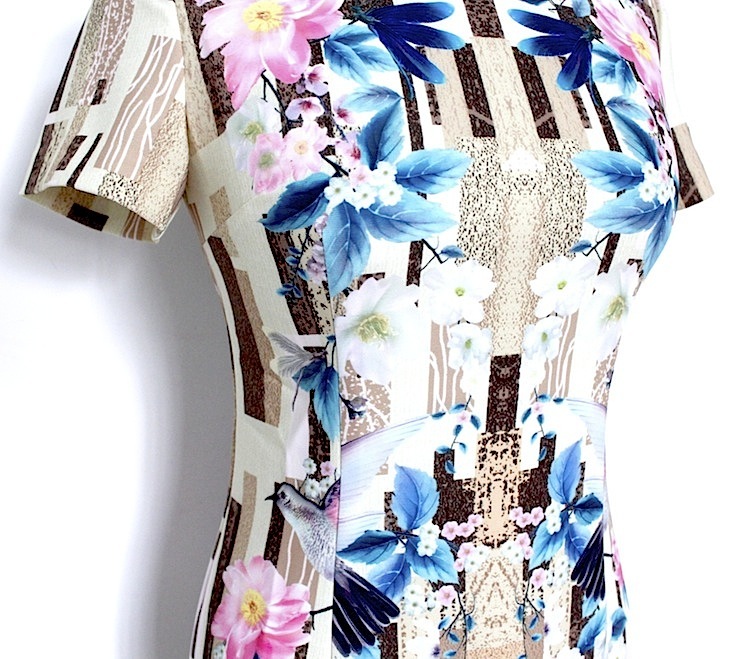 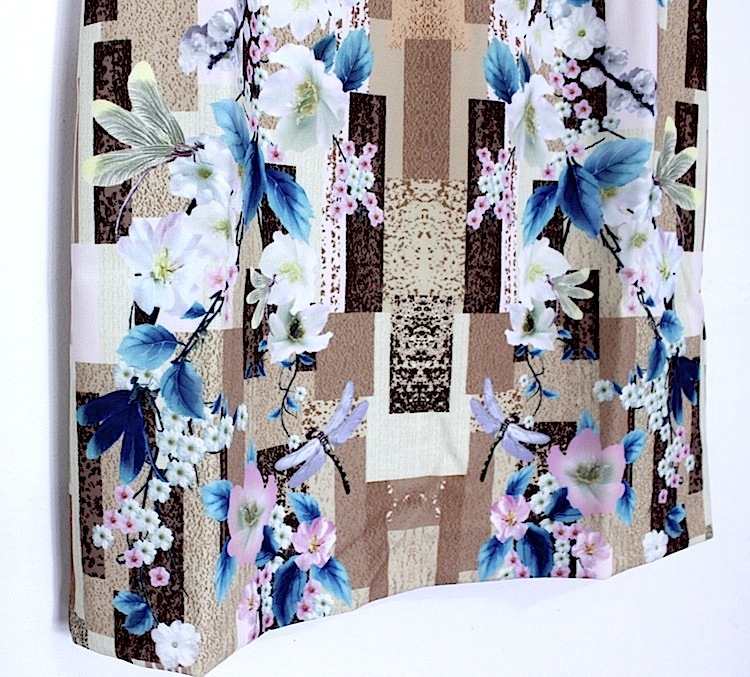 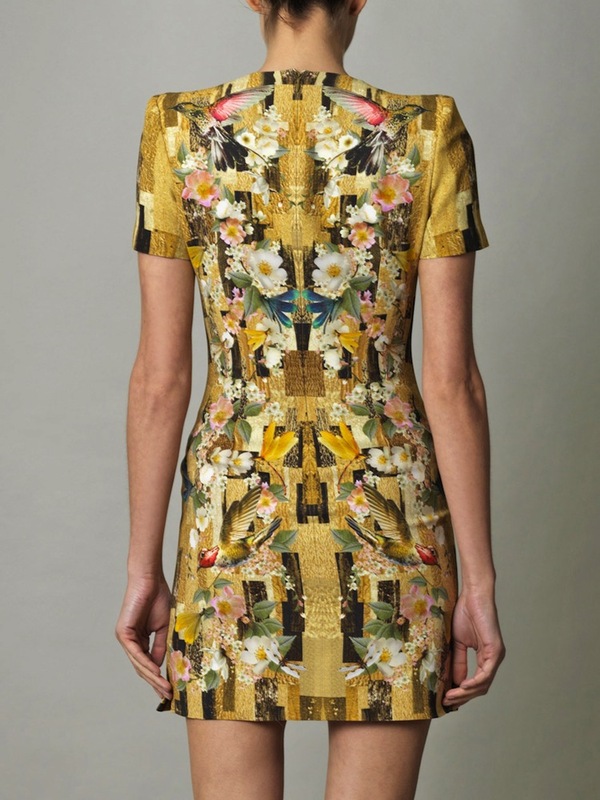 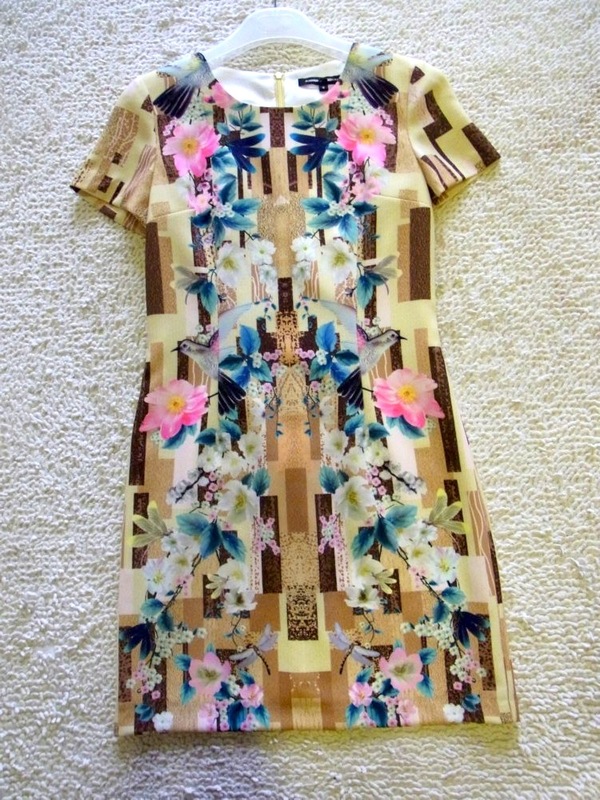 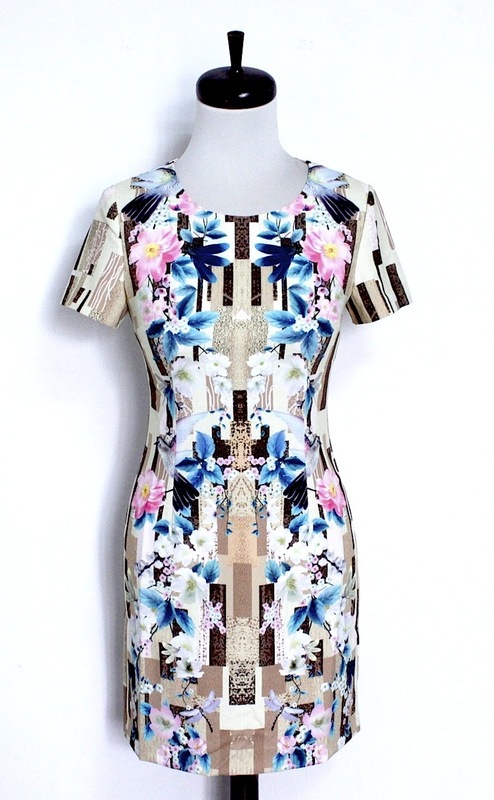 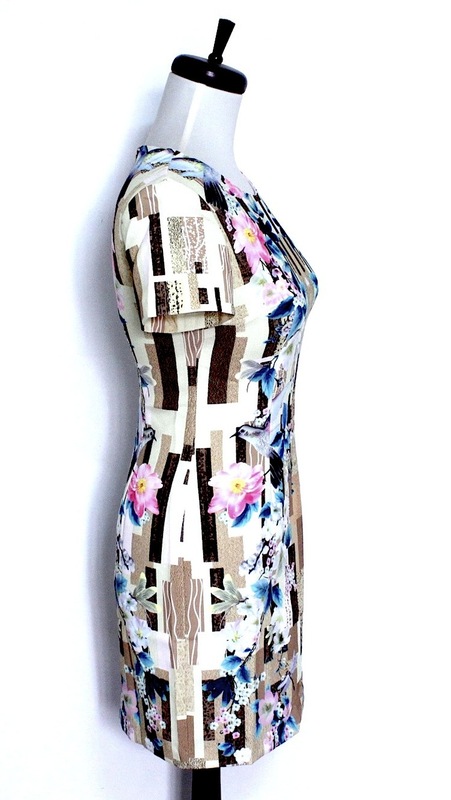 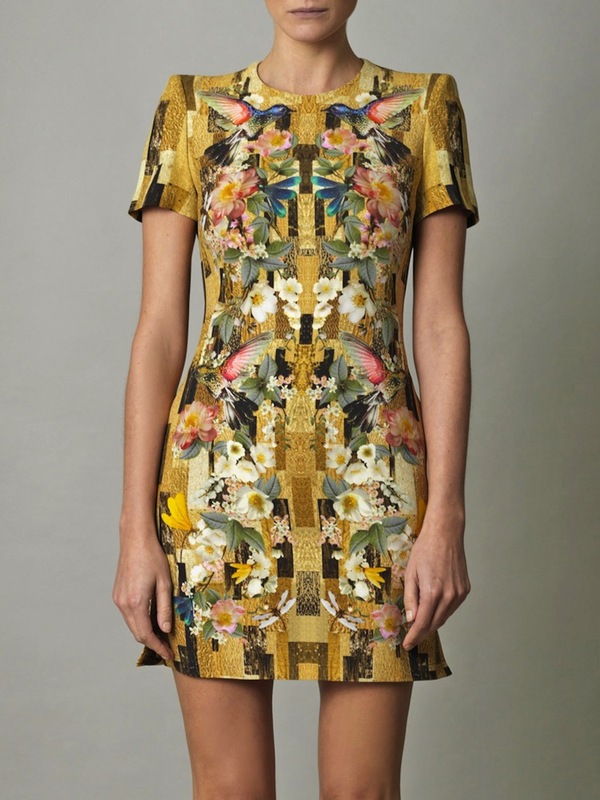 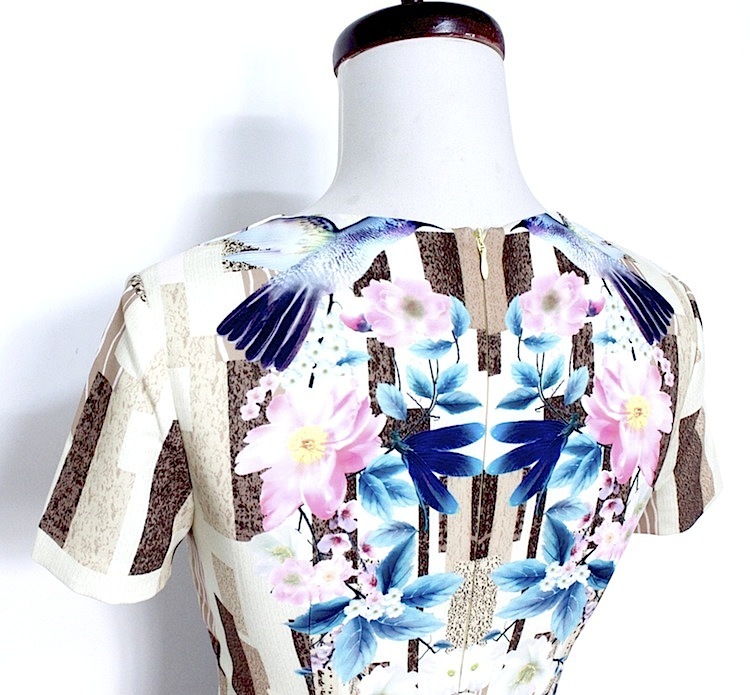 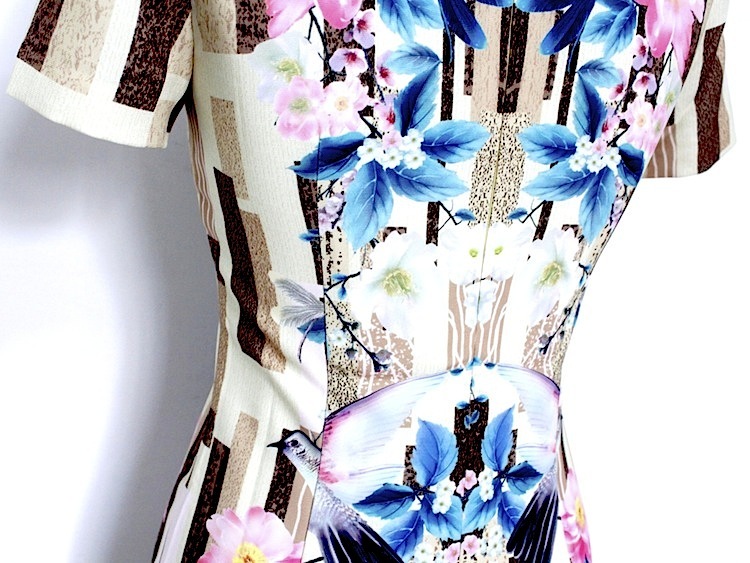 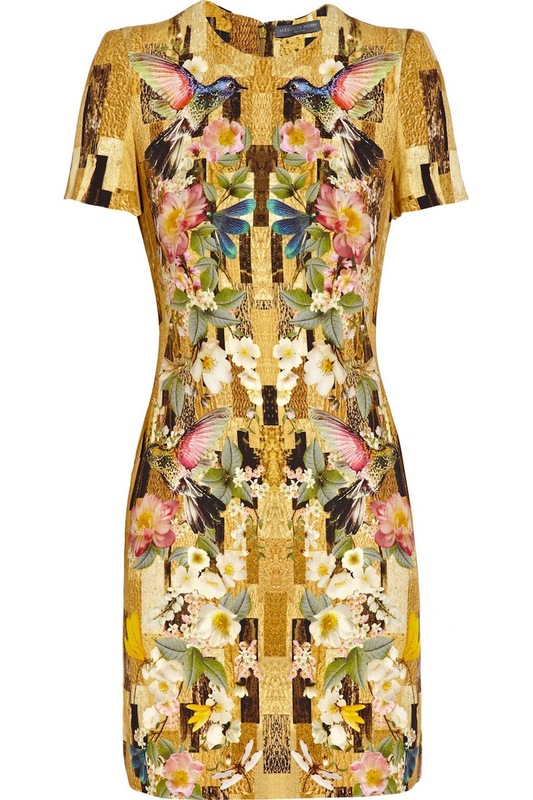 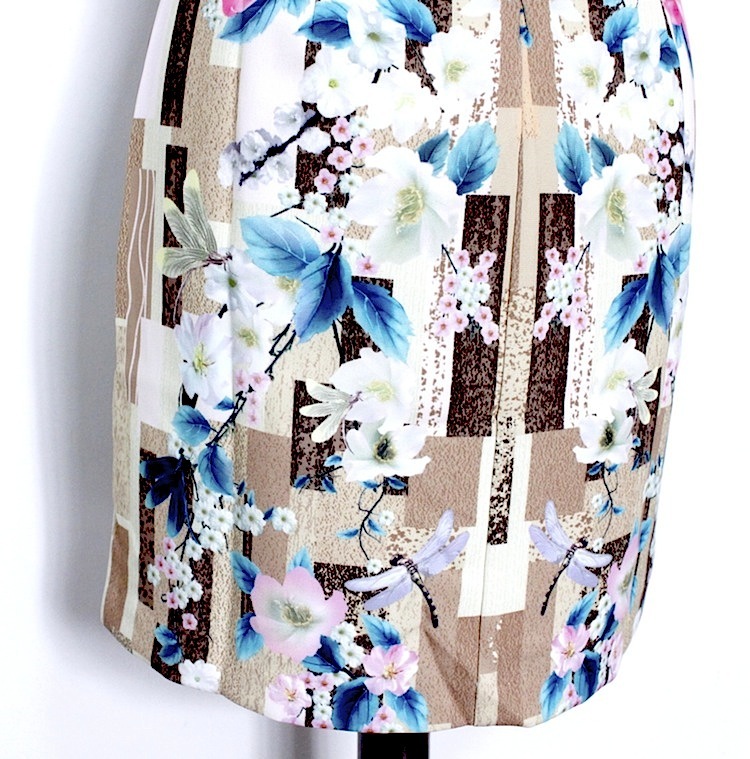 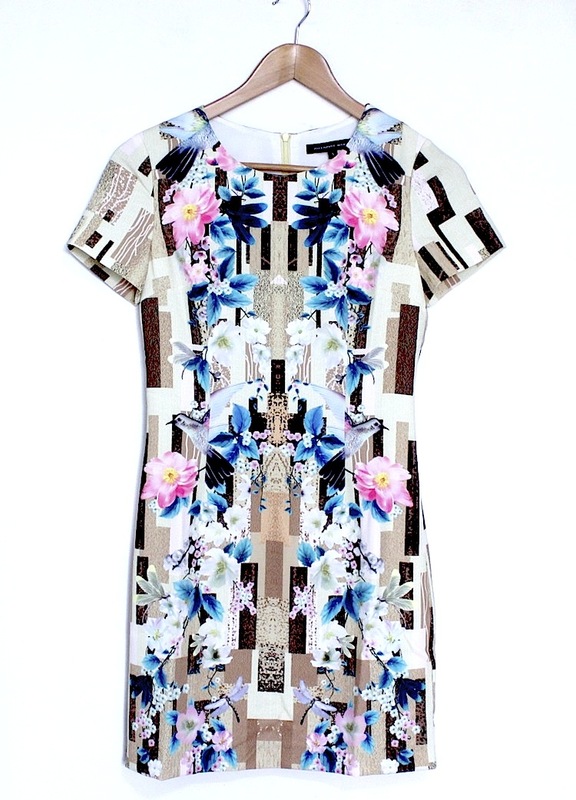 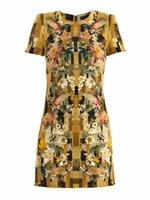 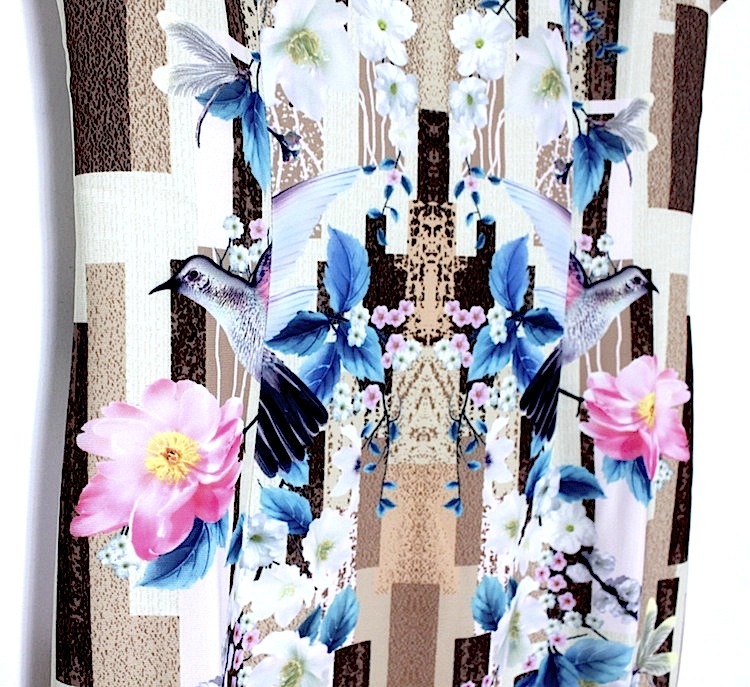 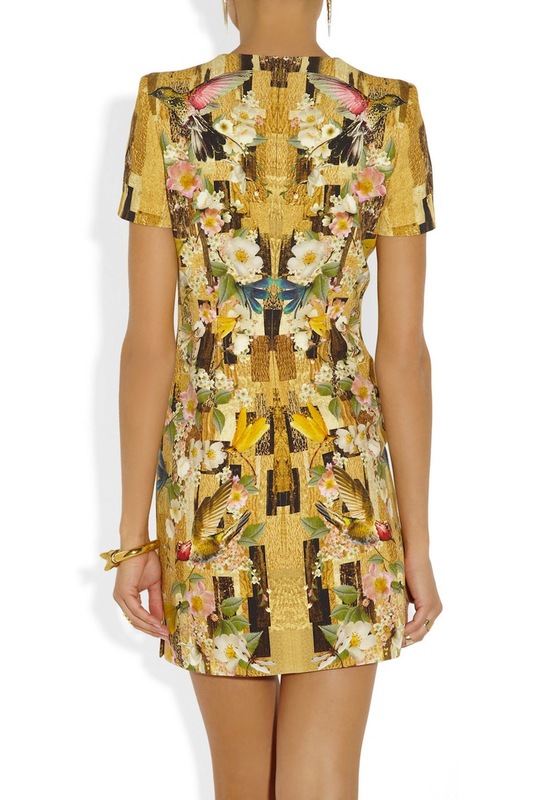 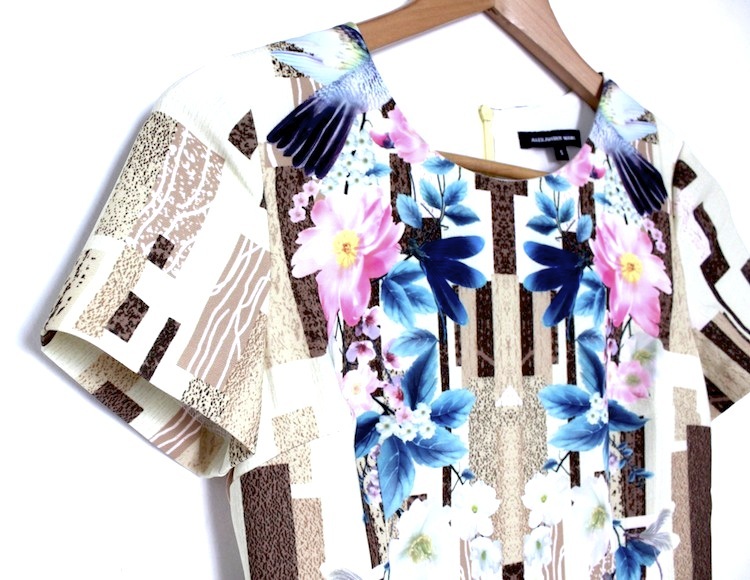 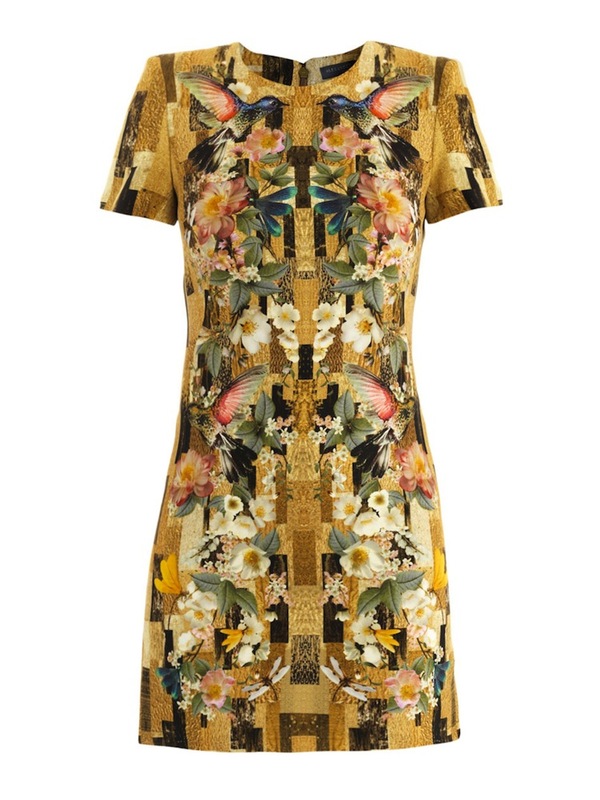 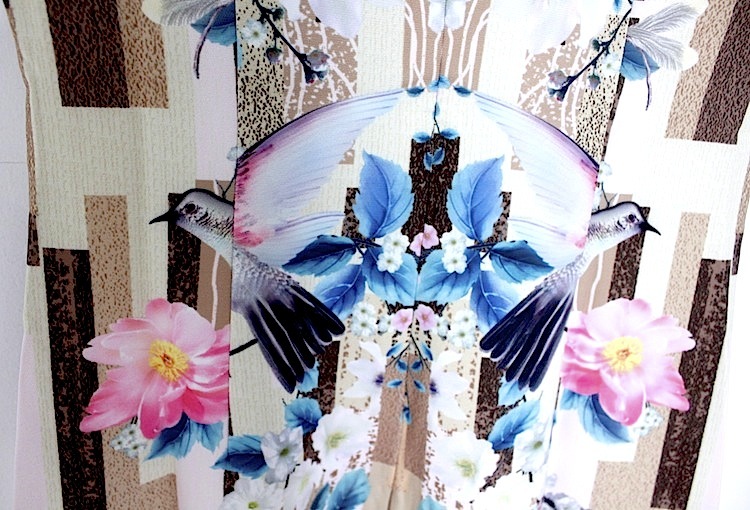 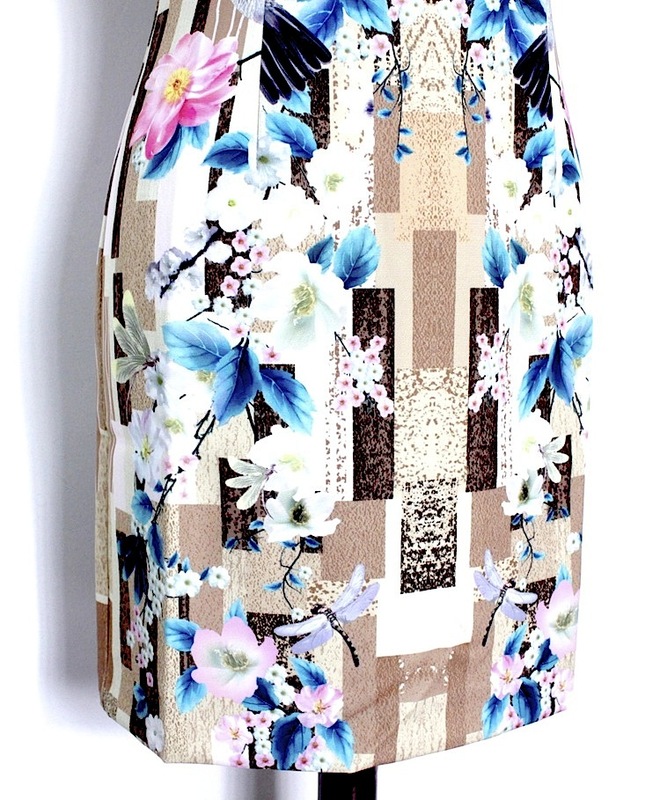 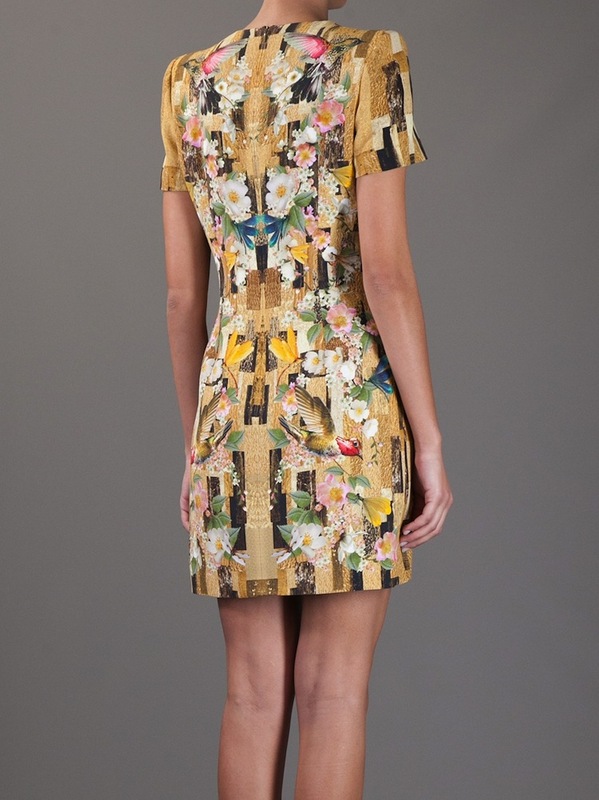 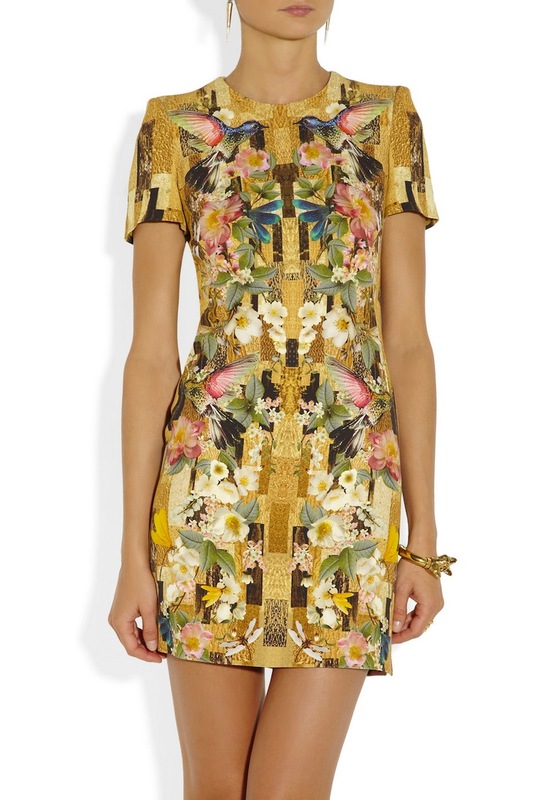 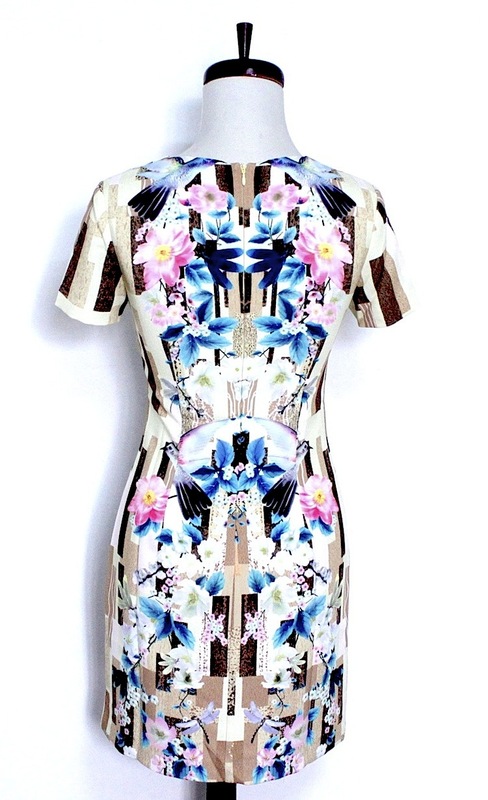 Multi coloured slim fit dress is featuring a round neck, short sleeves with padded structured shoulders, a mirrored hummingbird print, a tall rear zip fastening and a straight above the knee skirt. 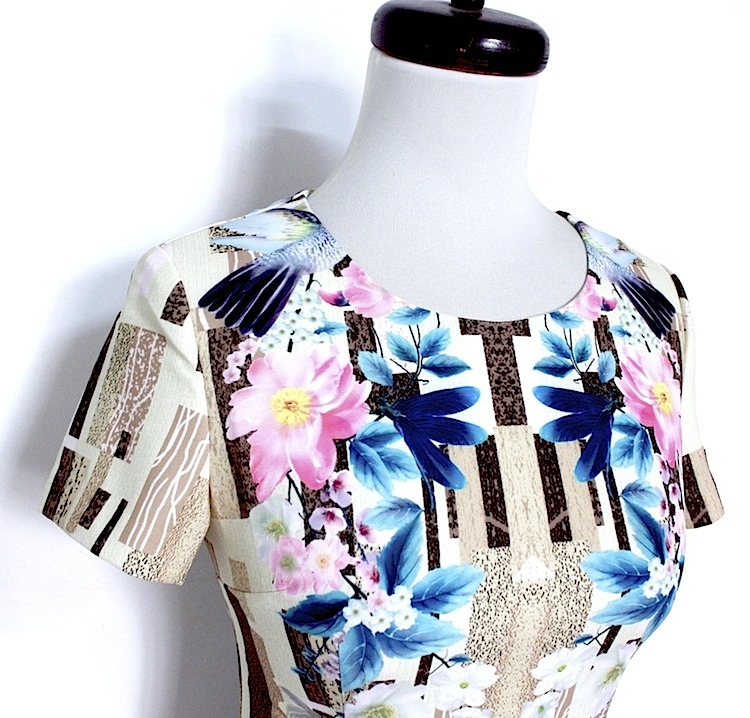 70% rayon, 30% acetate. 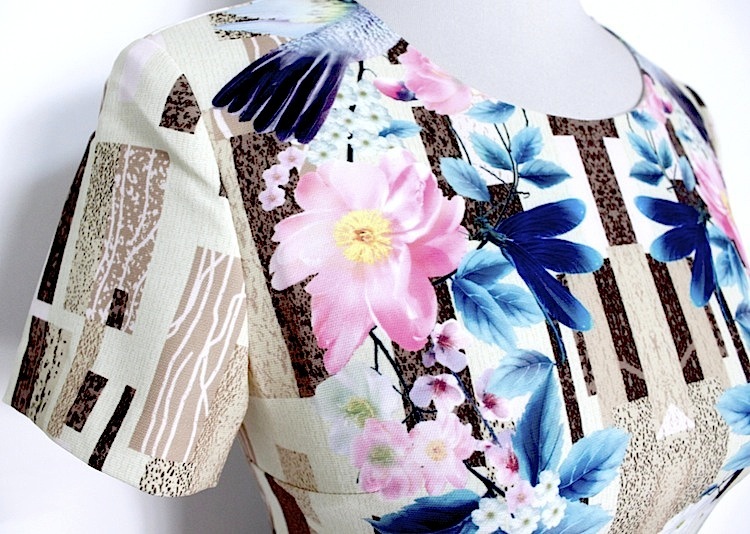 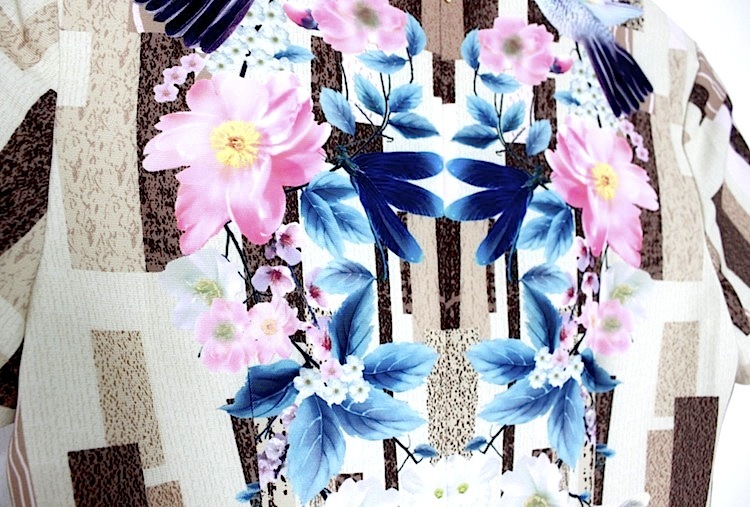 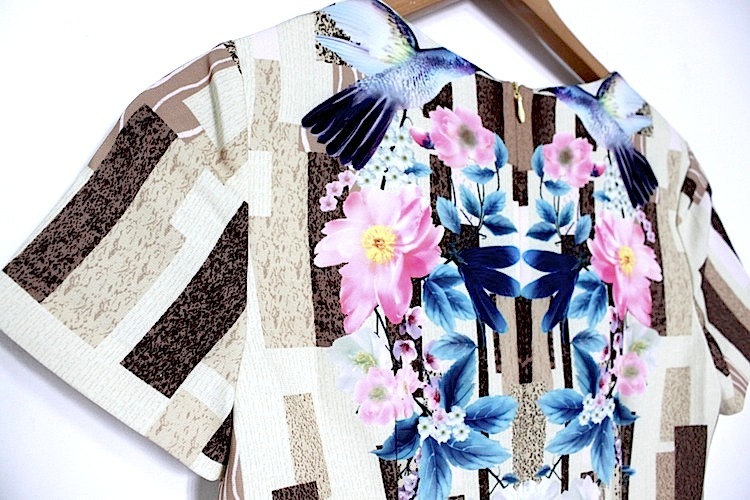 Lining: 74% acetate, 26% silk.